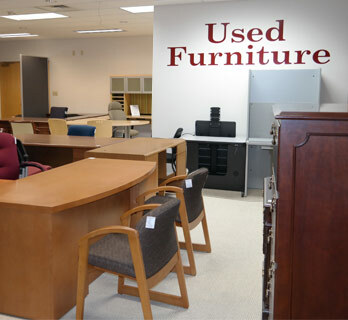 Looking for used office furniture in Fort Wayne, Indianapolis, Warsaw, South Bend or surrounding areas? Our office furniture store in Fort Wayne on Production Road is loaded with quality used office furniture: Used desks, used conference tables, used workstations, used office chairs, used filing cabinets, and more. Built by some of the top office furniture manufacturers in the business, our used furniture has years more life in them, but are available at a fraction of the cost of buying new. And, buying used office furniture at Workspace Solutions is better than buying cheap office furniture new somewhere else. View our used office furniture update to see current availability.